Anjali Iyer-Pascuzzi, Assistant Professor, Botany and Plant Pathology. 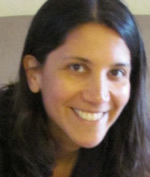 Anjali earned her bachelor’s degree in molecular and environmental biology from the University of California, Berkeley. She earned a master’s in plant pathology and doctorate in plant breeding and genetics from Cornell University. Anjali comes to Purdue from Duke University where she conducted post-doctoral research in plant molecular biology. Her research investigates the mechanisms that plants use to tolerate environmental stress, particularly that caused by bacterial wilt, a devastating global plant pathogen that first infects plant roots. Current research in her lab is focused on understanding the bacterial infection process within roots in tomato and the model species Arabidopsis, and understanding the molecular interactions that occur between plant and pathogen within specific cell types in the root. A goal of her research is to identify novel forms of resistance to bacterial wilt. Anjali will be teaching plant cellular and developmental biology. 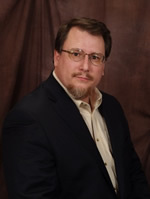 Michael Langemeier, Clinical Engagement Professor, Agricultural Economics. 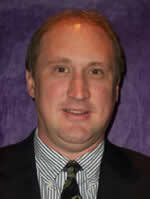 Michael is the Associate Director of the Center for Commercial Agriculture in the Department of Agricultural Economics. He received a B.S. and M.S. in agricultural economics from the University of Nebraska-Lincoln in 1984 and 1986, and a Ph.D. in agricultural economics from Purdue University in 1990. Prior to returning to Purdue last July, Michael spent 22 years at Kansas State University (KSU) in an extension, research, and teaching farm management position. One of his primary duties at KSU was to further enhance and analyze the production and financial data collected by the Kansas Farm Management Association. As part of these responsibilities, he assisted with the development and enhancement of computer programs at the farm, area, and state levels. Michael’s extension and research interests include crop insurance, cropping systems, benchmarking, strategic management, and tax management. He has presented material on these topics to state, national, and international audiences. In addition to his extension and research work, Michael has taught courses in farm management and economic theory. Kwamena K. Quagrainie, Clinical Engagement Assistant Professor, Agricultural Economics. Kwamena earned a bachelor’s degree in agriculture from the University of Science and Technology, Ghana and his master’s and doctorate in agricultural economics from University of Alberta, Edmonton, Canada. 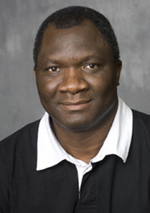 Kwamena has been with Purdue for the past 7 years in the Department of Agricultural Economics as Director, Aquaculture Marketing and also as the Aquaculture Marketing Specialist with the Illinois-Indiana Sea Grant Program. His primary extension responsibilities focus on providing assistance to Indiana aquaculture producers in pursuing and realizing economic and market development opportunities, which includes providing training and educational materials for farmers and Extension Educators in aquaculture business management and marketing. His applied research program consists of market analysis, market definition, facilitating the development of distribution, and identification of value-added opportunities for aquaculture products. For the past six years, Kwamena has served as the US lead PI for USAID’s Aquaculture and Fisheries Collaborative Research Support Program (AquaFish CRSP) in Sub-Saharan Africa. Trevor Stamper, Clinical Assistant Professor, Entomology and Director of Forensic Science. Trevor earned his bachelor and master's degrees in arts in anthropology from New Mexico State University and his doctorate in biology from the University of Cincinnati. Trevor's research explores improving postmortem interval estimates in vertebrate decomposition using carrion flies. He uses behavioral and phylogenetic data to explore ovipositing behavior and to build carrion fly species identification databases. His responsibilities include directing and teaching under the forensic science minor.